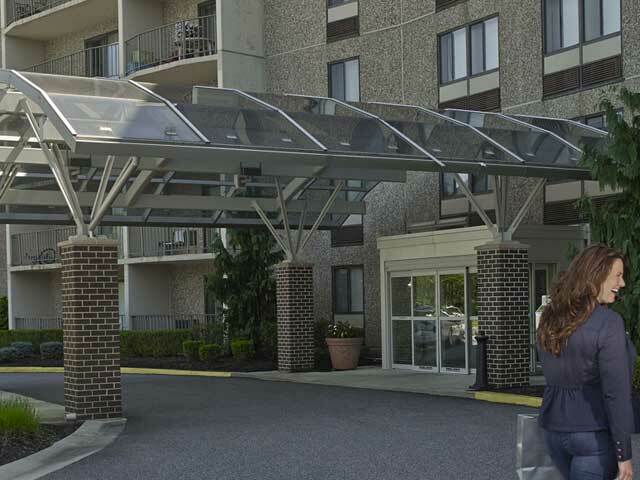 Centrally located off Naamans Road, Whitney Apartments offers a short commute to both Philadelphia and Wilmington, DE. Our apartments near Wilmington Hospital also allow for convenient access local amenities like quality health care services for you and your family. Founded in 1890, the modernized Wilmington Hospital serves as the headquarters for the Christiana Care network. The 241-bed institution features an emergency department, rehabilitation center, advanced joint replacement, outpatient primary care, diagnostic imaging, and behavioral health services. In addition, it is located near the Swank Memory Care Center which is focused on multidisciplinary care for patients suffering from memory disorders and their families. Whitney Apartments is situated in the perfect location for those seeking access to routine and specialized healthcare and provides an ideal commute for hospital employees or nursing students at nearby Widener University. Our studio, 1-, 2- and 3-bedroom apartments near Wilmington Hospital are within walking distance of a new 24-hour CVS Pharmacy and Super Wawa to satisfy your needs no matter what your schedule is. We are also situated just minutes away from a plethora of the area’s best shopping, dining, and entertainment opportunities. A 15-minute drive to Philadelphia, Whitney is easily accessible to Routes 202, I-95, and I-495, allowing for convenient travel to surrounding communities and beyond. Our rental community also has the added convenience of a DART bus stop right on site. Our apartments near Wilmington Hospital are the perfect place for you and your family to call home. Contact us online or call us at 215-886-2000 to schedule a tour and learn more about our property and community.